Ever since Nintendo introduced the touch screen on the original DS, it was clear to artists that there was plenty of potential to produce art without the need to dig out a canvas and materials. The Art Academy series was a high-profile example on DSi that scratched that itch, as well as being titles that helped to attract yet another kind of gamer to the handheld. We do happen to have some talented and enthusiastic artists in the Nintendo Life team, and they've all been busy at work in the exceptional Colors! 3D eShop app, while one team member shows off the power of Lessons in New Art Academy. 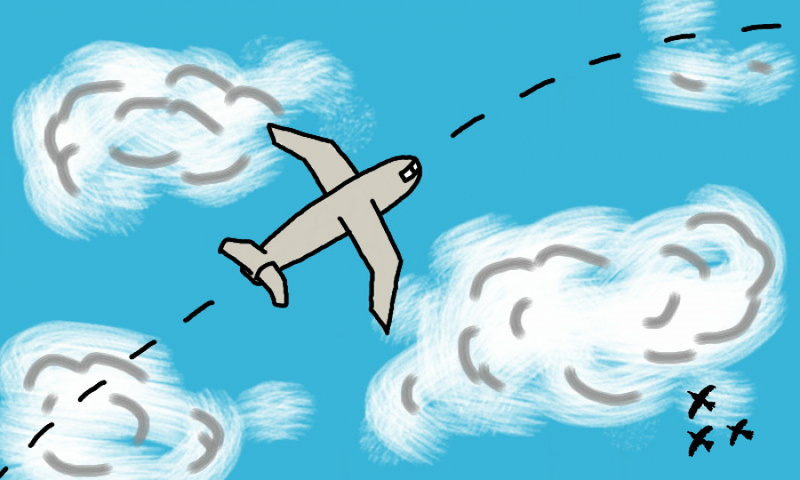 My first piece is titled "Flight," and it features an airplane soaring through the air. Some birds are present as well. This painting is simple, but many of the comics that I write involve the idea of flight, so this painting is indicative of the rest of my work. 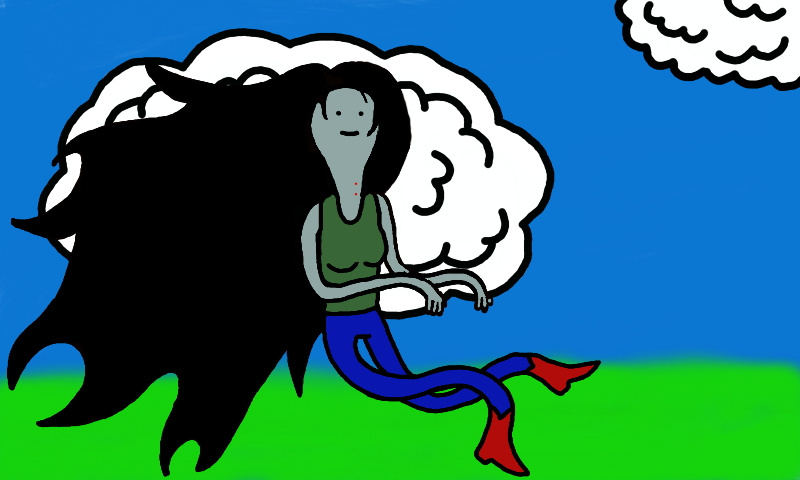 The second is titled "Marceline," and features Marceline the Vampire Queen from the popular cartoon Adventure Time (soon to be a Nintendo DS and 3DS game!). She's a favourite character of mine, and painting big hair is always fun. 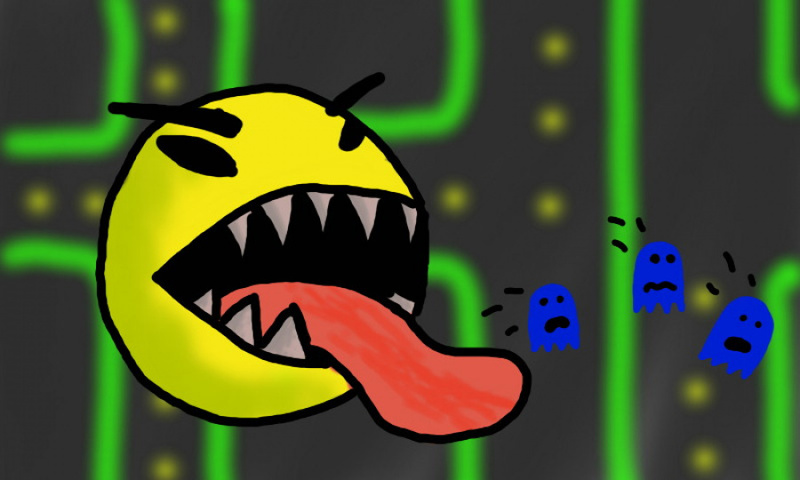 My final piece is simply titled "Pac-Man," and it's my interpretation of what actually happens when Pac-Man gets his "hands" on a power pellet. Awful, just awful. Those poor ghosts. 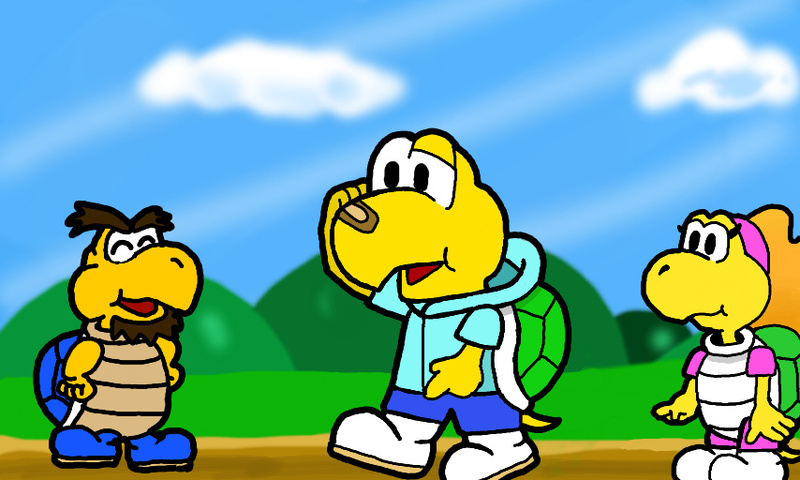 Drawing on the 3DS takes some getting used to thanks to some interesting dead zones, so I figured an easy character would be best to draw first. And who's the easiest of the lot? Why, Mr Game & Watch of course! Gaze upon this tranquil woodland scene. The sun is shining, the grass is lush — but what's this? The warm weather has brought out a few familiar beasts; can you spot 'em all? More importantly, can you decipher the scrawl and work out just what they're actually meant to be? If ever I say I'm artistic, I'm always referring to creative writing and music, simply because stick men are normally beyond my scope for drawing or painting. I never downloaded Colors! 3D as it seems to be a powerful tool rather than a teaching aid, so when I reviewed New Art Academy I was incredibly impressed at how effective the lessons were, and the fact that I've started to understand how visual art is constructed, as well as being able to do it at a basic level. 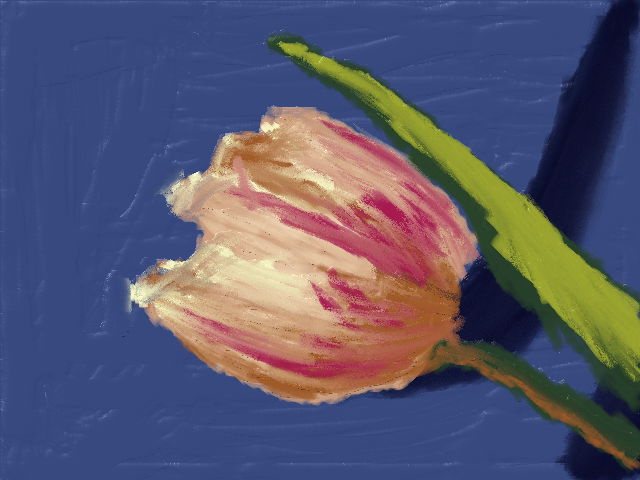 My selection is a basic painting of a tulip, but considering where I started I'm rather proud of it. So there you have it, four staff members showing their artistic side. We'd love to read your comments — though be gentle — and keep an eye out for a follow up feature soon. These are nothing compared to some of the pieces done on the original homebrew version for the DS. There was some that you could look at and not be sure if you were looking at a painting or a photograph. Still it's early days yet but I think painting on this will be more difficult without thepressure sensitivity of the original DS/DS Lite. That Rose almost looks like an impressionist painting from an art museum. It might've been the easiest, but I love the Mr Game & Watch one! 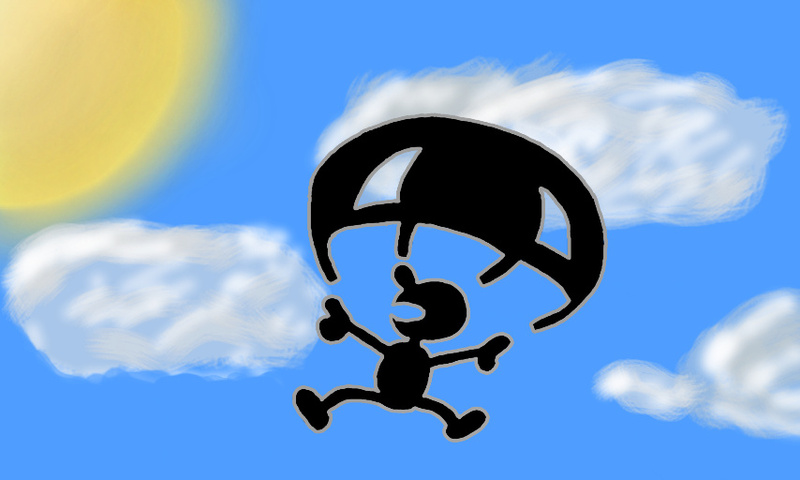 I also liked the Mr. G&W one the most. I must pick this one up! The only problem is my awful artistic ability! I am no artist, but this article might have convinced me to take the plunge. Look out world here comes my Stick Figure Gallery! 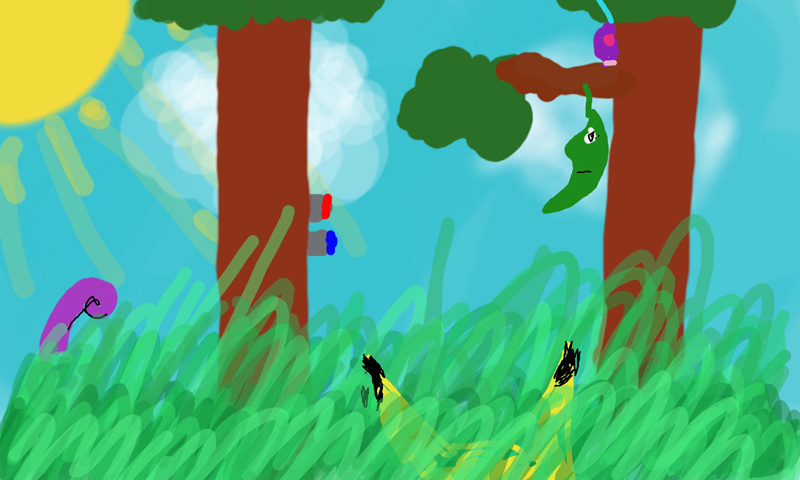 My first Colours 3D drawing was a little 3 panel Pikmin comic. @Tom - I like your use of impressionism. @Aqueous That's kind, thank you. The credit I can take is limited, as I was following the lesson as closely as I could, so it guided me to that style. I'm getting a real kick out of learning on New Art Academy, so I'd recommend it to budding artists that need guidance and practice. @Tom - Maybe, still you pulled that off, not the 3DS game. Guided or not, it's your work and you had excellent results. Hope to see more someday. If there was one talentless area in my life I wish I did have, it would be art/drawing. Good job guys! Simply Amazing as have any of you uploaded any in the gallery? You guys should totally do a feature on pieces drawn by the NintendoLife community. Like make a forum topic and have a deadline of sorts, it'd be cool. If i had the Money I would get a 3DSXL but since I am not that set for pocket free cash... I will stick with my DSIXL and ART ACADEME #1 DANG !! I used to be good painter but never really applied myself to it. Now I just am crappy at it now. I'll need a few pokéballs, 5 to be precise. Oh Marceline, why are you so, mean. I'm not mean I'm a thousand years old and I just lost track of my moral code! Oh Marceline, can't you see these guys are in pain? No I can't. I'm invested in this really cute videogaaaame! PAAAAAAAAAAAAAAAAAAAAAAAAAAAAAAAAAAAAAAAANDDDDDDDDAAAAAAAAAAAAAAAAAAAAAAAAAAAAAAAAAAAAAA! That's pretty good dood. I feel like deleting all my downloads and just by this and Art Academy. anyone knows where i can find a 3DS Point generator for this?